Hello Deedee's Digis fans! Happy Friday! Are you all ready for the weekend? I am, but the kids aren't. They've been hit with the reality that this weekend marks the end of July which means school starts in two weeks. 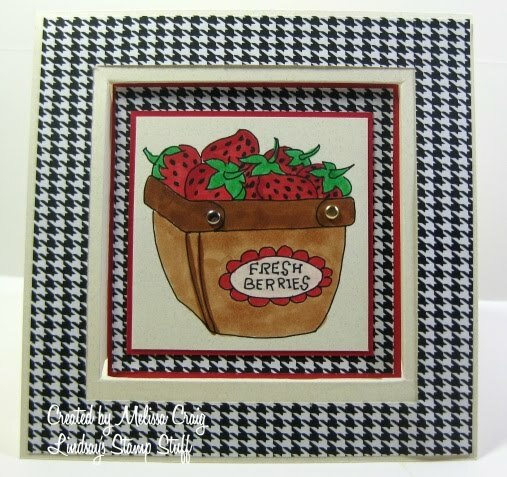 Deedee has been busy designing some really great images and I have the priviledge of previewing one for you here today. This is from the School or Bust set and it's perfect for those Back to School cards and projects. The set will be available for purchase on August 1st. Thank you so much for stopping by today. Have a super Friday and a great weekend!! I had so much fun with this image from Shirley's 2 Girls. 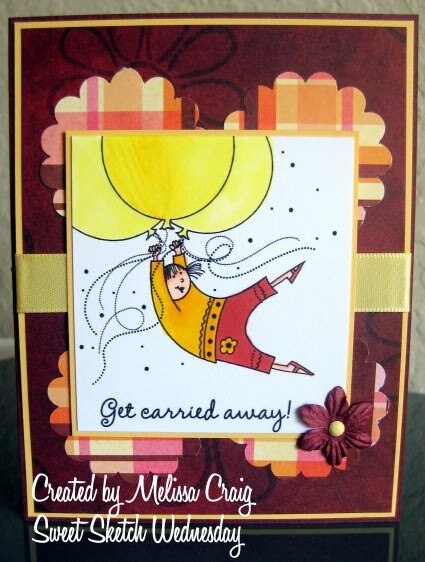 I'm am telling you - I would love to get carried away with some balloons right about now! Doesn't that look like a lot fun? 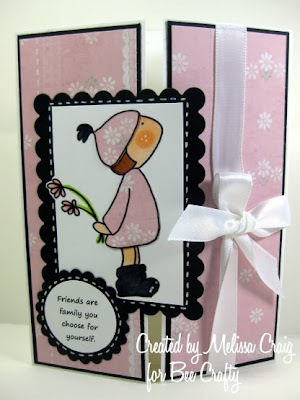 Now head on over to Sweet Sketch Wednesday to see some really great cards and to find out how to join in the fun!! I know I've told you all how much love snowmen, so I really enjoyed playing with this stamp and creating this card. I used sketch TMS #2 and it went together to easily for which I was really glad for! I just love his icy cheeks!! Now you'll need to head on over to Tuesday Morning Sketches to get all the details on this week's challenge. But since you're hear, you might as well leave a comment, then head on over to TMS to find out why you did.... Have a super day! I used the set Home Tweet Home. I really like this image because it can be colored to look natural and earthy or with brighter colors to be a bit whimsical. I used the sketch from The Pink Elephant, flipped. 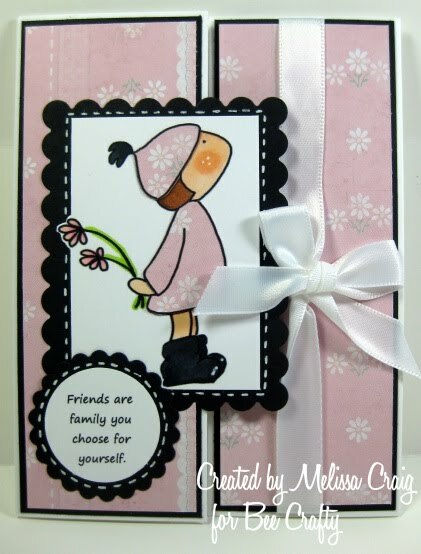 I really love when I identify with a sketch, the card goes together so quickly. Thank you so much for stopping by - have a Happy Monday. I'm off to take Brendan to take a CPT for school this morning. Good Morning! I woke up early this morning and actually had a bit of creativity juice flowing. And that was before I had coffee. LOL! 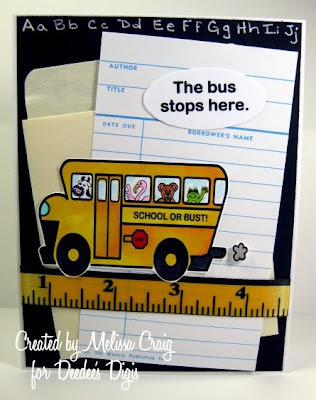 I had really wanted to play along with The Sweet Stop challenge last week, but I just couldn't fit it into my schedule. So I got a jump on this week's sketch. I have had this digi Milton Reading for weeks now and finally got to play with him. This week's sketch was awesome and my card went together rather easily. I love it when that happens. And this next card I made is for 3 challenges. 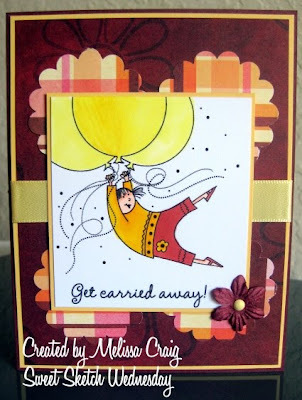 Raise the Bar (distress), Just Magnolia (vintage), Friday Sketchers (the sketch). All these challenges were absolutely fabulous. I haven't done vintage before, so this was a challenge. The sketch was great to work with, but I left off the embellishments in the lower right corner because I felt it would be too much with everything else I had going on on the card. This was a lot of fun to make. I really experimented with this one. After coloring the image with Copic markers, I went back over her shirt and socks with Memento Ink and a blender pen. I'm not sure you can tell in this photo, but I did stamp her wings a second time and cut them out. Partly because I hated how I colored her wings in the first place. Trust me, you don't want to know. But this gave me a chance to distress the edges of her wings a bit and add a bit of dimension. I also "tea dyed" the lace trim with ink and a sponge. It would've looked better coffee stained, but I didn't have the time for it to dry and I didn't know what that would've done to adhesive strip. Thank you so much for stopping by today. I hope you enjoy these cards as much as I do sharing them with you. Have a super Saturday! Good Morning! Happy Thursday. 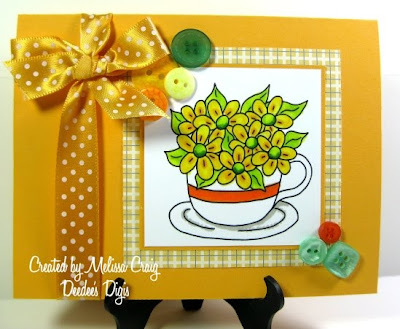 This is normally my day for my Thursdays with Lindsay post, but since Lindsay's Stamp Stuff is sponsoring my Tuesday Morning Sketches challenge this week, I posted on Tuesday. Click here if you'd like to see the card I made. So I decided for today, I would make a card just for the fun of it. No challenges, no DT requirements, just a fun card. I kept it clean and simple. This card went together very quickly and it's nice to have those ideas in your creative filing cabinet in your brain. Thank you so much for stopping by. I hope your Thursday is a blessed one. Good Morning! Happy Wednesday. As usual Arlana has a great sketch for us to work with and we have one of our favorite sponsors, too. 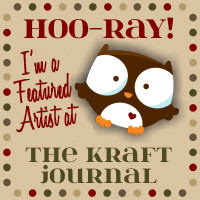 Digi Stamp Boutique is sponsoring and as always there's a great prize for the winner! The image I used is Skater Francis and he's just so adorable!! I really liked this sketch because I was able to pull out some tools that I haven't used in a little while and not that I live in Florida, I think this will be the only snow I see for quite some time. 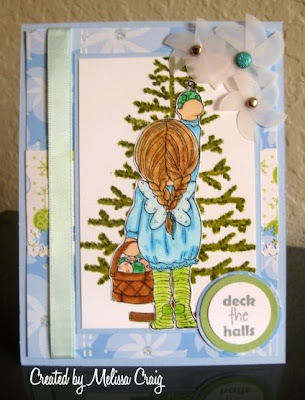 In this photo you can see that glitter highlights I added to the snowflake. It reminds me of how the snow looks that hasn't been disturbed by footprints and th sun is shining on it. Nature's true dazzling diamonds! 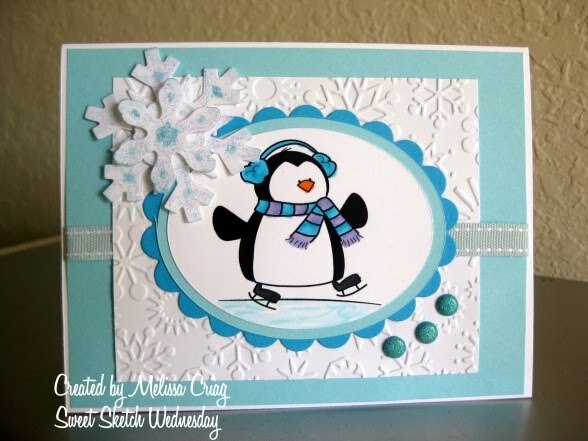 I hope you enjoy my card, I'm really pleased with how it turned out. 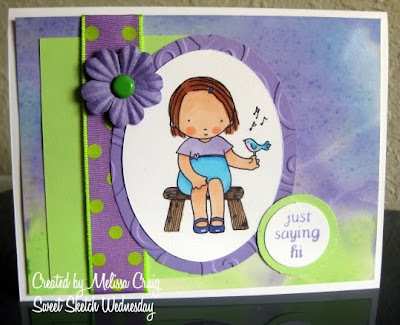 Now head on over to Sweet Sketch Wednesday to find out how to play along. Have a wonderful Wednesday! Good Morning! I do hope your week if off to a great start! 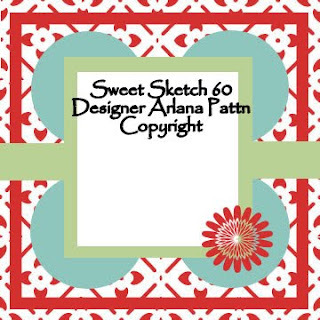 It's Tuesday and the 3rd week of Tuesday Morning Sketches birthday celebration. I am having a lot of with this. I've really enjoyed seeing some of my old sketches being refreshed this month. 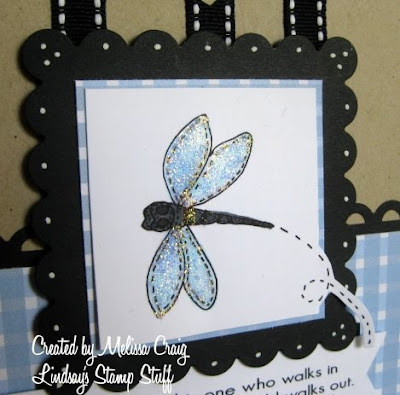 This week's sponsor is Lindsay from Lindsay's Stamp Stuff - Lindsay was one of the first sponsors of TMS when I first began the challenge blog. So this week is still to chose your favorite past sketch, but I've added a theme: WHAT REMINDS YOU OF SUMMER. I love flowers. A funny statement from me since I grew up in a flower shop and hated them! But I've matured since then. 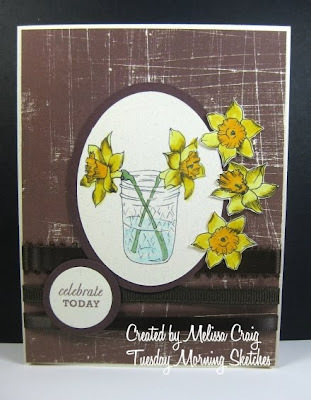 Anyway, I can't say that I have a favorite flower - but I do love daffodils. Their color is so vibrant and just screams summer to me. I also participated in The Pink Elephant's challenge which was to use brown. I hope you like my card - I'm not very happy with the photo. 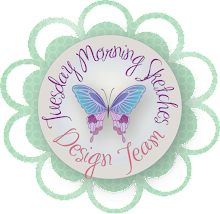 I also hope you join us over at Tuesday Morning Sketches. I used images from the Deedee's Digis stamp set called Cup of Joy and who wouldn't be able to smile with this card. The colors are happy and bright and the image is perfect! Deedee did such a great job on this set, which is not surprising - she's an amazing artist and an amazing friend. Not only am I playing along with the Happy Monday challenge, but I incorporated a couple of other challenges, too. First, I got this great sketch from The Sweetest Thing. Note to Karen - I hope you're feeling better. The other challenge is from Crazy 4 Challenges which was to show off your buttons. I don't know if you can see them really well in my picture, but there are 3 of them that started off white and I colored them with my Copics. They sort of streaked a bit but then I started tapping the marker on the ink and it gave it the coolest texture! Thank you so much for stopping by! Have a Happy Monday! Good Morning! Happy Saturday to you. 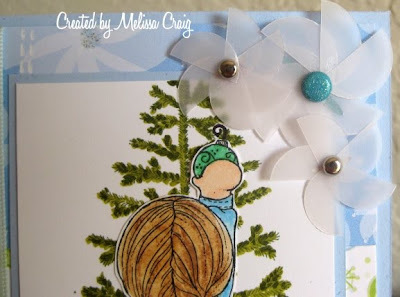 It's time for another Bee Crafty challenge and this one is definitely what I love about summer. I grew up in Denver, CO and the closest thing we ever had to a beach was Chatfield Reservoir. I don't even know why it was there, but there was a huge dam and "they" brought in sand and we had a man-made beach. In my early 20s I was in California for a little while and that was the first time I had actually seen the ocean. I spent quite a bit of time on Venice Beach and walked the pier and I LOVED it!! Since moving to Florida almost 4 weeks ago, I've been to Clearwater beach and New Smyrna Beach in Daytona. Beautiful!! I love the beach! So I was really excited when I found out this week's challenge was going to the beach. Here's my version of that challenge. 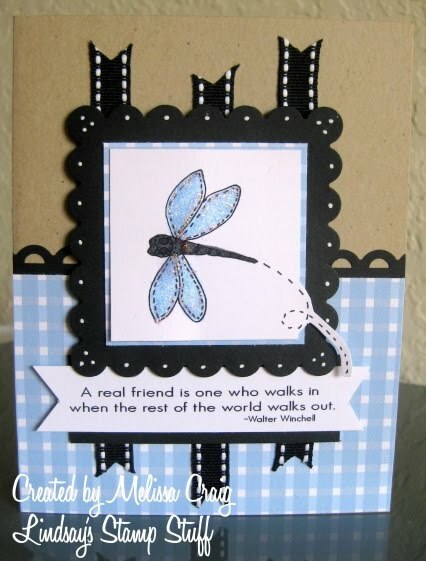 I really love taking real photographs and incorporating them into my stamping. 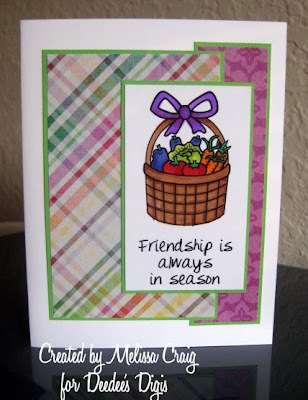 I want to send this card to someone very close to me - I'm sure it'll get the message across. 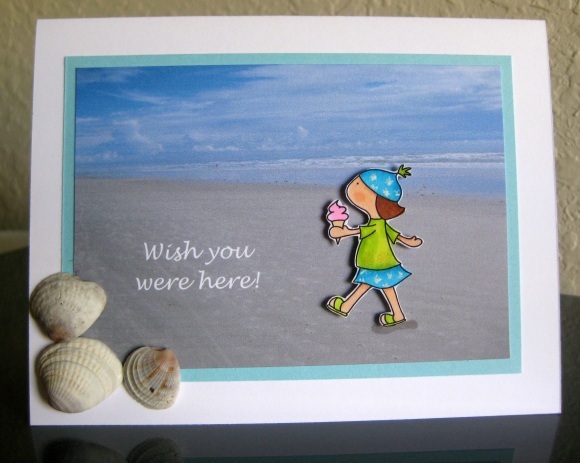 Anyway, the background is a photo I took of New Smyrna Beach in Daytona. It's only about 40 minutes from my house and it's glorious! I imported the photo into a word program and then sized it to the dimensions I wanted. Then I added a text box over it, added the sentiment and then changed the font color to white. I was trying to figure out how to rotate it and pick a font that looked like writing in the sand, but I didn't quite make it. This looks good anyway. 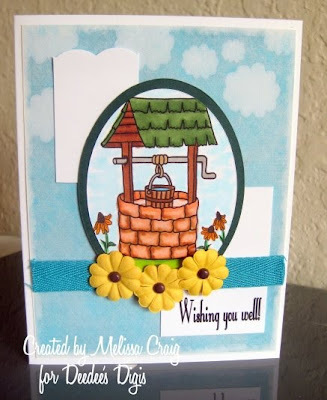 I hope to see you over at Bee Crafty - it's a fun challenge! And you have lots of time to participant as the challenges are every two weeks. Thank you so much for stopping by. Enjoy your weekend. Good Morning! I am late posting on purpose. I did purposely wait to see what the new Just Magnolia challenge was for today and I am so glad I did. They have an absolutely fabulous sketch to work with! And I also found out that I won last week's challenge!! Whoo-hoo!! Last weekend I had an apartment-full. My sister-in-law came up with her daughter and our niece and nephew. So my little place was filled with 6 kids and two adults. Knowing I was going to have so many I set out to make a dinner that feeds a lot pretty inexpensively. This is one of my children's favorite dinners, too, so I knew I was doing the right thing. My sister-in-law and the kids LOVED this dinner, so I thought I would combine my card and this recipe for her. I think it turned out really cute. 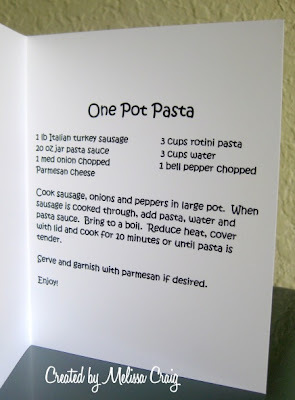 I hope you like my card and that you try this recipe. It's really yummy!! Thanks for stopping by and Happy Friday! Good Afternoon! I am so sorry that I am late with my post. Yesterday was a very busy day for me, certainly not how I expected it to turn out - but all in all it was good except that I didn't get any cardmaking done. But I am finally here with my Thursday's with Lindsay edition. Oops, I shouldn't have shot this photo straight on. You can't tell that it's a recessed card. 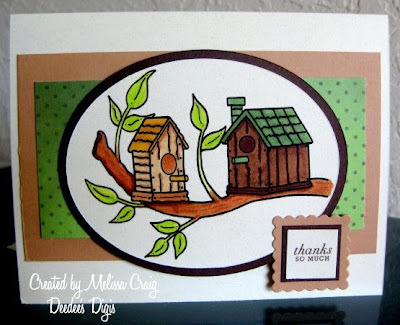 I followed the tutorial found on Splitcoast Stampers. 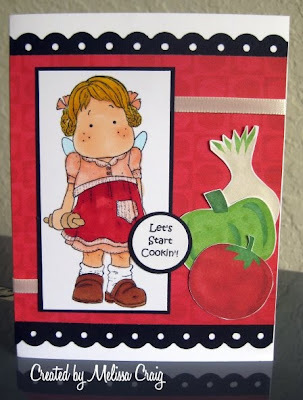 Anyway, fun card to make - it just takes a little patience. I hope you like my card! Thank you for stopping by. 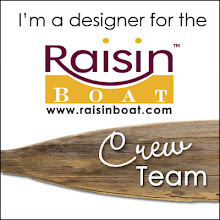 Please be sure to visit Lindsay and the rest of the team, I'm sure they will have great things to show you! Good Morning! I hope you're having a great week so far. 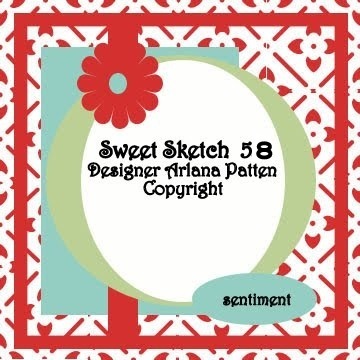 It's Wednesday so we have another great sketch from Arlana at Sweet Sketch Wednesday, we have plenty of inspiration from the team and we have a great sponsor. 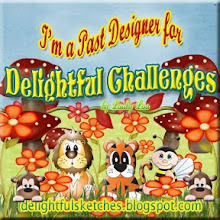 We have Digi Stamp Characters with us and the prize 3 digi images! 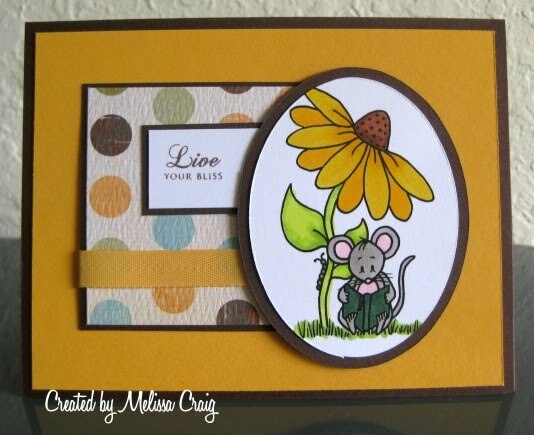 I had a lot of fun using the image that was so graciously provided by owner, Heather Ellis. I did use the current challenge over at Just Us Girls, too, which is a technique called Ink Spray Smash. What a fun technique. Its what I used to create the background. 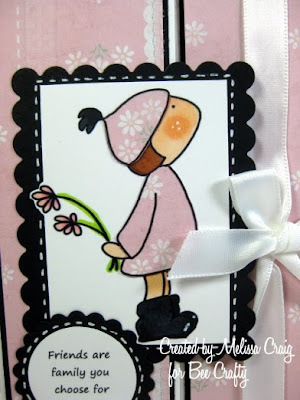 I hope you enjoy the card and join us this week. 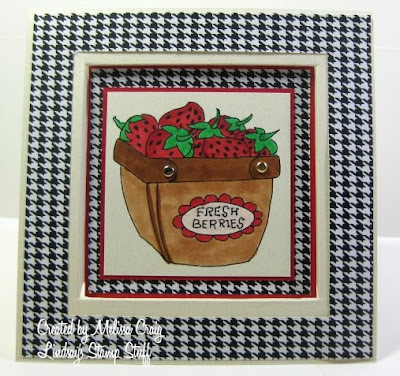 Head on over to Sweet Sketch Wednesday to find out how to play! Have an awesome Wednesday. Good Morning!! I am so sorry that I missed posting yesterday. I had company over the weekend and then my boys went to their aunt's house (5 hours away) and I have my niece here with me and Hollyanne so the only thing I've gotten done are the "future" posts and had nothing to share with you yesterday. I am so pleased with this card! I love how it turned out. These are made with the sepia vellum I was telling you about. They were really simple, just took a lot of patience to glue them together. For both cards I used sketch TMS #51. I hope you head on over to TMS and join us this week. Also, Crafting with Deedee's Digis has a rockin' sketch posted for this week's Happy Monday challenge. I hope to see you in both places! Have a super day!! Good Morning everyone! I hope you're enjoying your weekend so far. 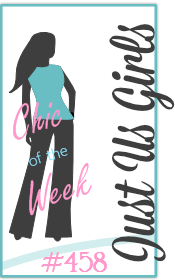 Last night I spent the evening chatting with a few of the girls over at the TSG Friday Night Chat forum. That was a lot of fun. While I was chatting with them I made a card to participate in a few challenges. I like non-traditional colors for Christmas, so this was fun. I was sad that my image was still too big to see a lot of the detail of the beautiful papers I used. But I liked the overal effect, so I didn't start over. Not to mention, when the supplies come from a kit, you don't have much room for do-overs. 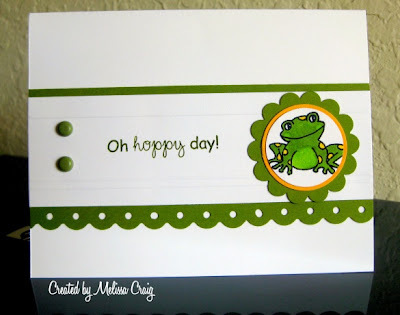 This is a swatch of one of the papers - I loved this! Pinwheel, yet sort of snowflake type flowers. 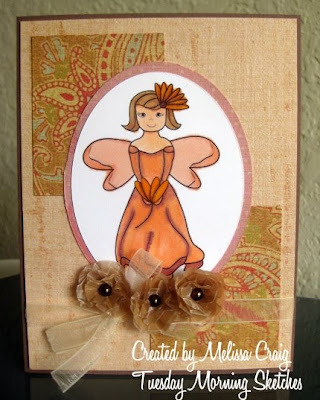 I wanted to re-create this look and with some thick vellum and a lot of trial and error, I did! I made my own flowers. In retrospect, I should have put glitter on them and I still might - but not for these photos. 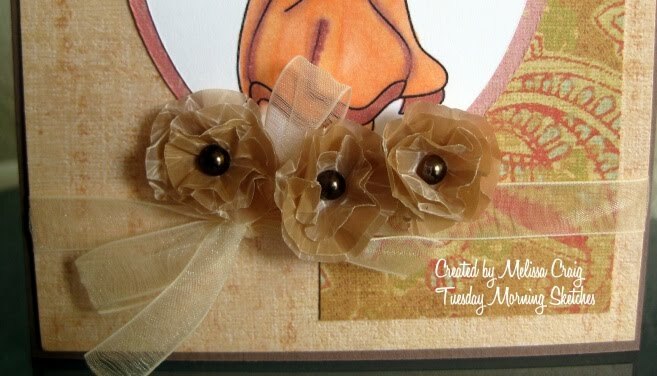 In this photo you can also see the little white stitching I added for one of the elements in the sketch. 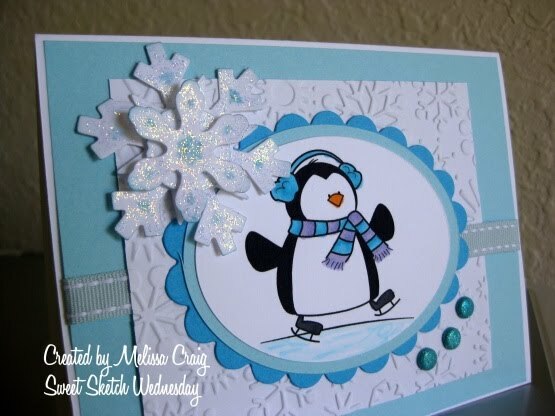 I hope you enjoy my card. Thanks for stopping by - I hope you have an enjoyable weekend. I need to get ready for company so I am off and running a bit early. Good Morning! Happy Friday! This week has just flown by - I cannot believe it's the weekend. 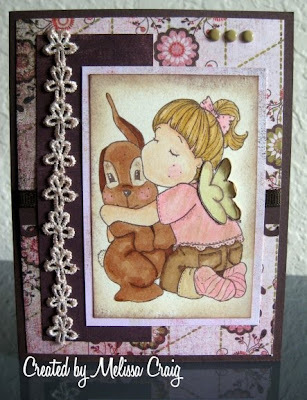 I have to stamp my little heart today because we're going to have visitors this weekend. The kids are very excited to see their cousins. 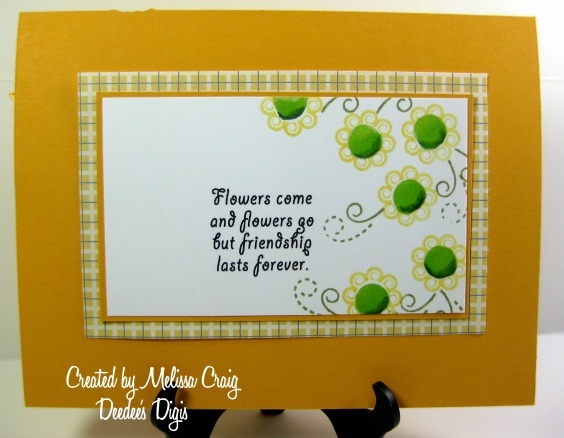 The card I made to share with you today features the freebie this week from Deedee's Digis. It also fit the challenge to create a Summer card. But I did something that I've never done before - I used a sketch from SCS Challenges. (SC287) It's funny actually, I've really pulled away from SCS. I used to be on there 100 times a day, involved in numerous swaps, used their tutorials, etc., but I never tried any of the challenges. I went with fairly plain and simple with this card. 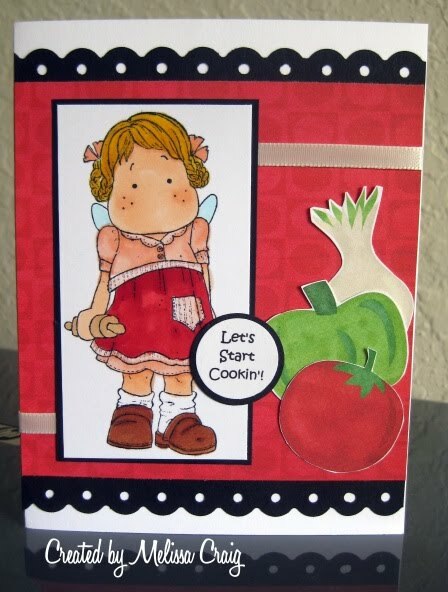 I found some great digi paper on A Cherry On Top that was on sale for $1 that is called Bella Gypsy Veg Out. It came with the cutest papers and embellishments. I'm not into digital embellishments much, but I do love the paper. Thank you so much for stopping by! Off to start my day off with a good cup of coffee and a shower. Have a super day! !